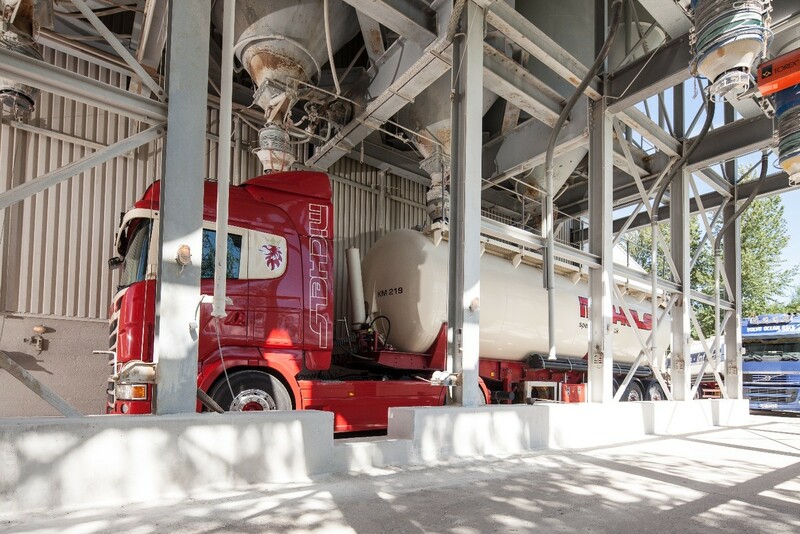 In order to ensure that the high quality standards of our industry are met, our tanker vehicles are state-of-the-art. 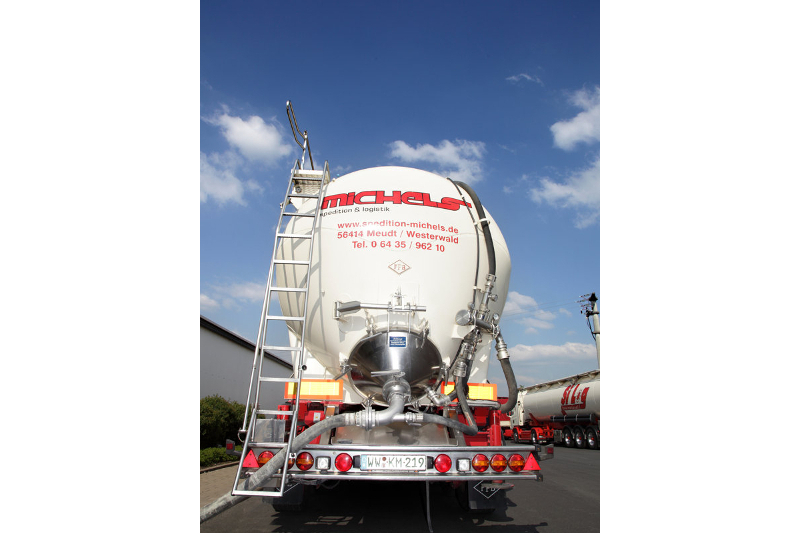 With a usable volume of 40 to 60 m3, they are suited to all transportation requirements. The diversity of our vehicle fleet emphasises our flexibility. Regardless of the conditions, (e.g. 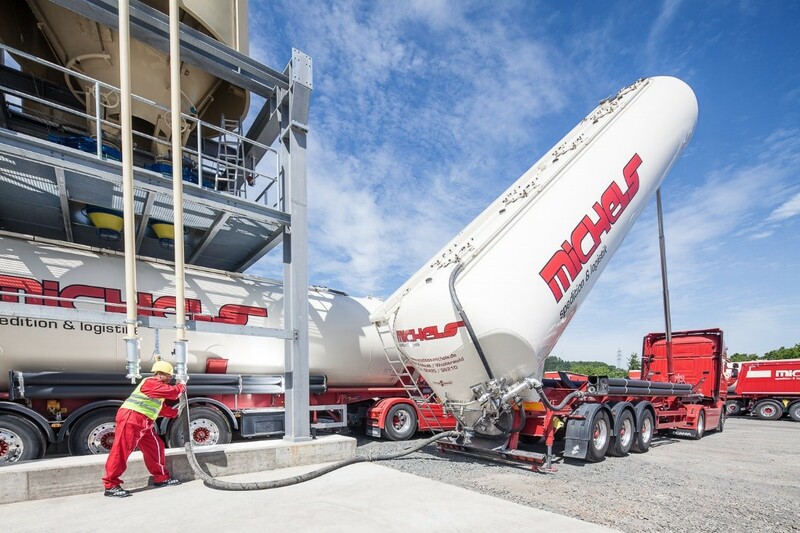 narrow loading or unloading areas, heavy or bulky materials), we have a suitable vehicle at our disposal. 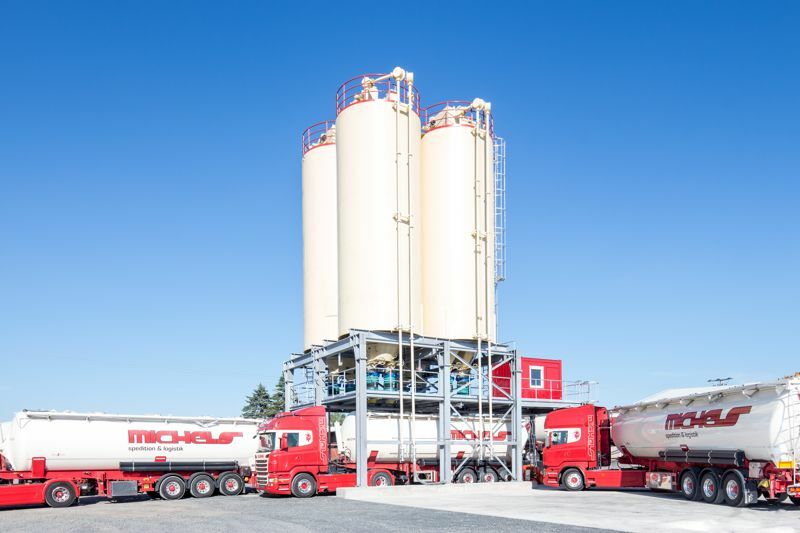 The internal coating of some of our tankers and the equipping of all semi-trailers with fibre mats and aerating membranes ensure that even wet materials and products that flow at different rates can be unloaded correctly. 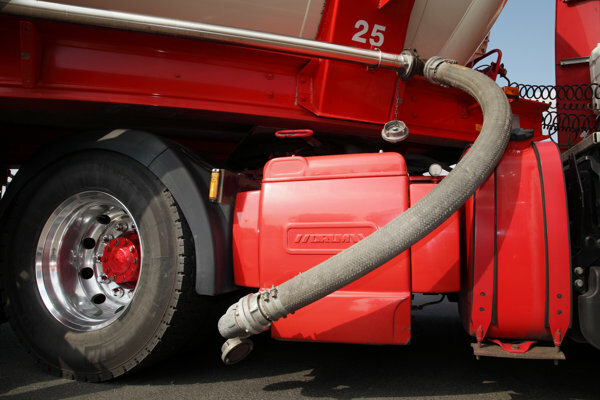 In order to guarantee the clean and hygienic transport of sensitive goods, our vehicles are equipped with PVC finishings, including microfilters, and chilled compressors. 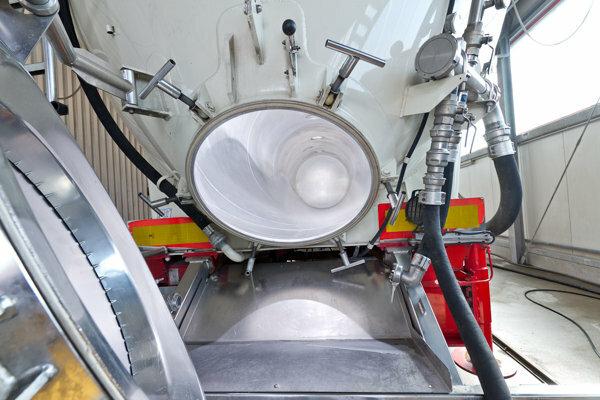 In order to minimise the noise levels during the unloading process, our compressors also have soundproofing hoods. 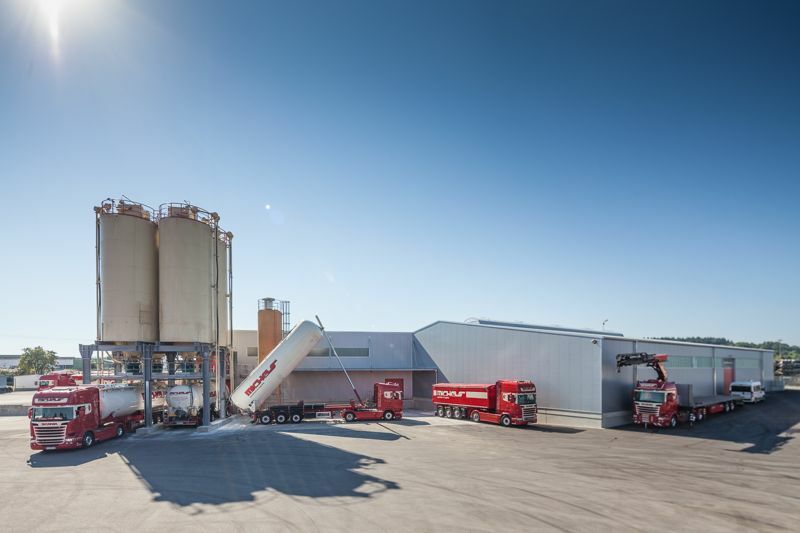 In addition to raw materials for the ceramics industry, we specialise in transporting fire-resistant raw materials as well as all powder and free-flowing products. Thanks to our wealth of experience in the industry, we know how important it is to avoid mixing and contamination when switching materials. 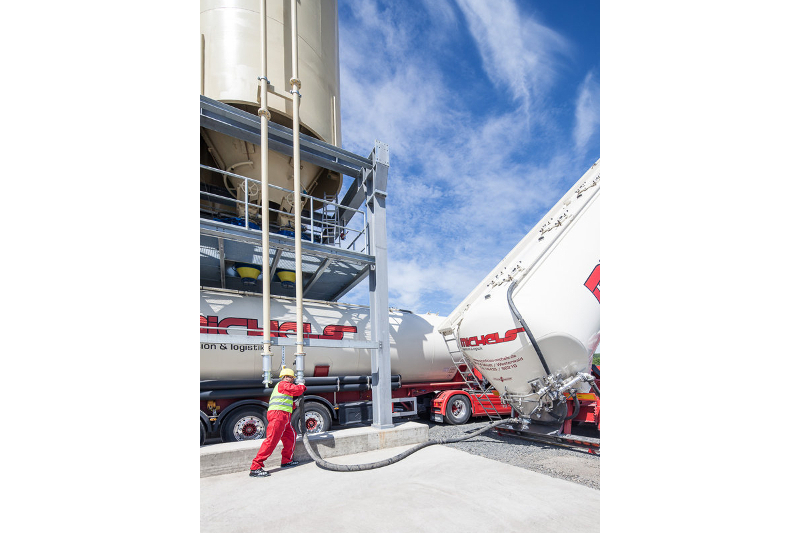 Our drivers are made aware of this and they know how to clean the silo tank properly, thus eliminating any risks.